Hello! I will be talking about a new website I was introduced to by the shespeaks program. If you have already heard of hautelook or dailylook it is pretty similar. The website I am talking about is: vente-privee.com. Vente-privee works alongside American Express (the card company) to deliver great brands and services that offer us up to 70% off retail price! The events and brands change daily. The website showcases stuff from housewares to clothing to makeup, sport stuff even electronics. 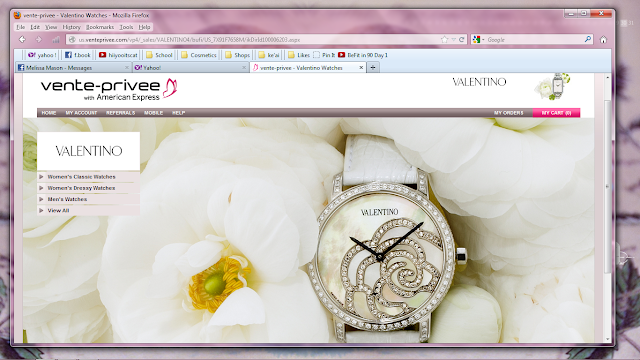 Read more to find out what the website looks like inside and how to navigate. This is the main page. If you are a new member then you will want to click Join Today. After clicking the join today .. you just enter your information: email and pw and gender. Once that is done, you will receive a confirmation email.. you just click that email to confirm and you are in! 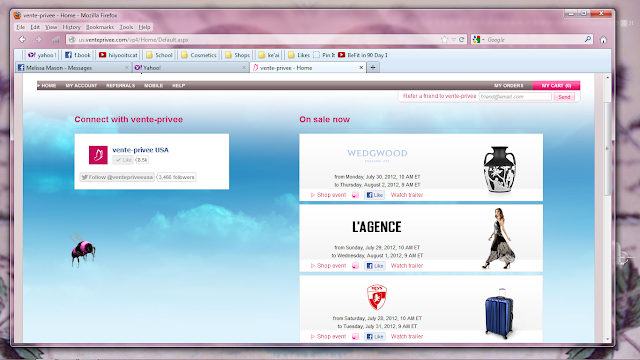 Once you are in.. the website should look like this! Not exactly like this.. because the events for you might be different if you are signing up on a different day. I decided to showcase the Valentino sale for this post because it was the only thing that caught my eye. Isn't that watch beautiful? 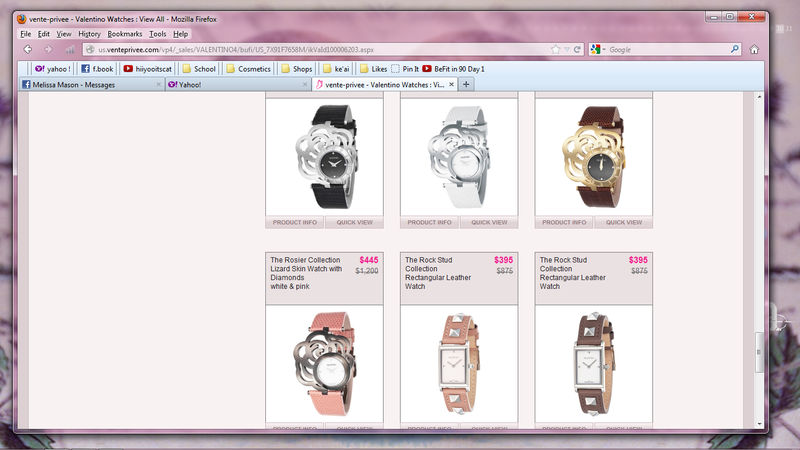 I clicked view all.. and it showed me all the watches they currently have for sale.. They are still a bit pricey for the average person.. but just look at the original price. For instance I like the white and silver watch its original price is $875 and it went down to $395! that is a major discount. 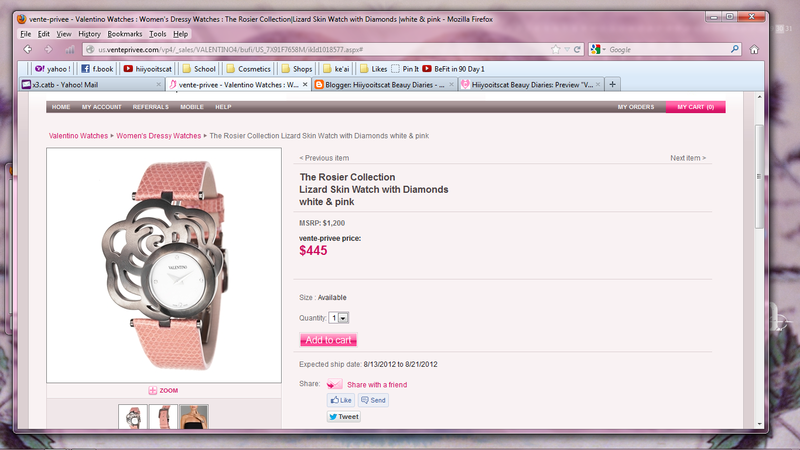 Of course I personally would not spend that much on a watch.. but still the savings is great. Once you find something you like.. go ahead and click on it.. on that page it will tell you the name and collection the item is from. As well as the MSRP price and the price they are selling it for on vente-privee. They show different images of the watch.. the front, back and on the model. If you happen to like the item and want to purchase it.. this is what the page will look like after you have clicked "add to cart". Any item you add to cart will be held for 15 minutes before it leaves your cart. That way you have time to save it and keep browsing. At the top it will also tell you what the "expected ship dates will be"
After this page you already know the rest. Enter your personal information and it will show a shipping option. I know I will be asked about shipping so here it is.. 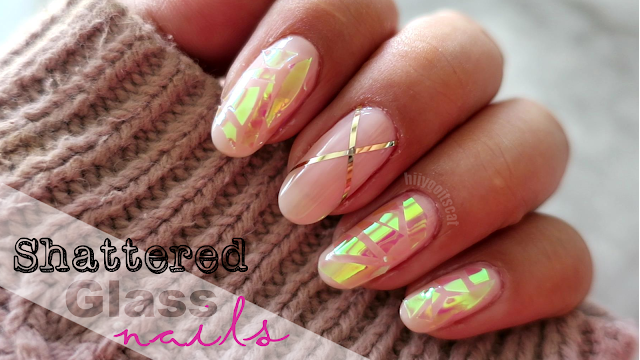 They offer flat rate shipping to anywhere in the continental US, Alaska, and Hawaii. Sadly, they do not ship internationally at this time but I am sure once their website gets more members and it expands they will eventually offer international shipping. $5.95 Ground - Arrives approximately 3-5 days from when your package leaves our warehouse. $12.95 Express - Arrives 1-2 days from when your package leaves our warehouse. Not all items are eligible for Express shipping. Not bad right? I love flat rate shipping. 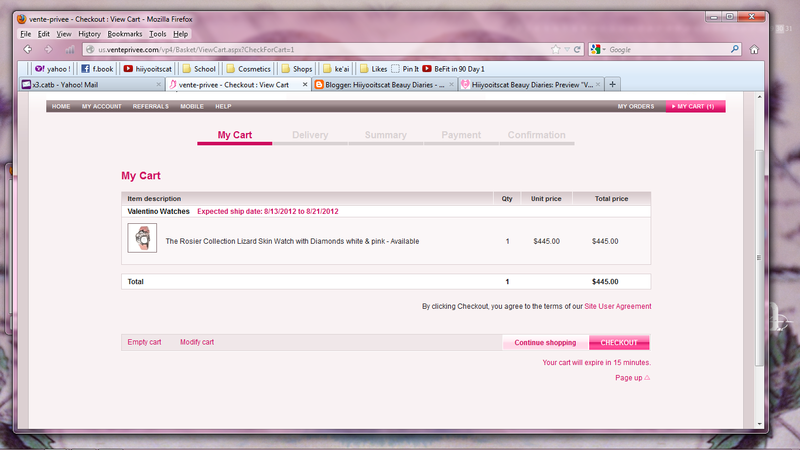 I know this website might seem like its still expensive.. but like I said .. I showcased Valentino and we all know how expensive that brand can be. It doesn't hurt just to sign up now and see what deals they come up with.. I will be waiting for the make-up deals to see what make-up brands they will be discounting. 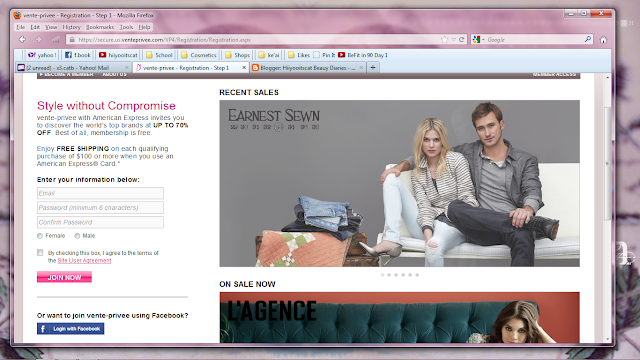 If you like Hautelook then you will probably like this website as well. 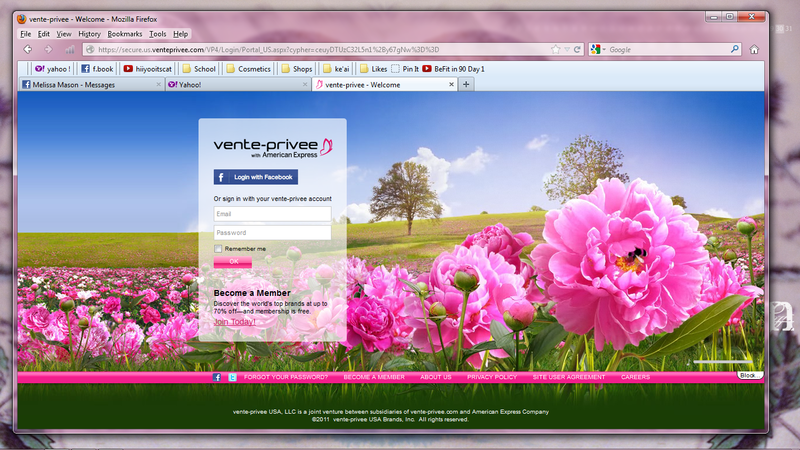 Be sure to follow vente-privee on their FB or Twitter as well as shespeaks fb or twitter. If you dont mind,can you tell me what software do you use to write all those texts on your pics?